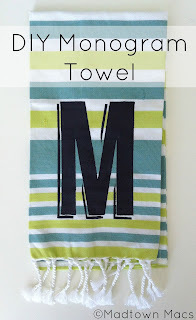 I first saw these monogrammed towels in West Elm and immediately loved how modern and bold they were. I ordered some for Christmas gifts last year but never got one for myself. Time to change that! 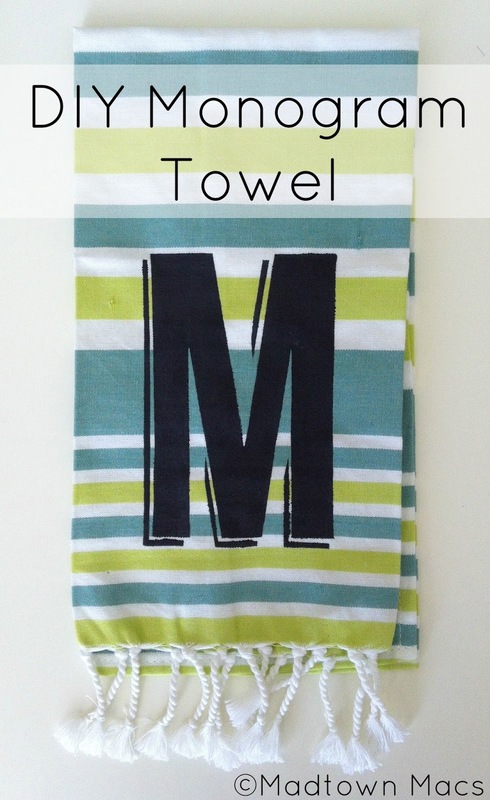 I saw this striped towel at World Market and knew it would be perfect for this West Elm Hack. Here goes! I used my computer to make a template. 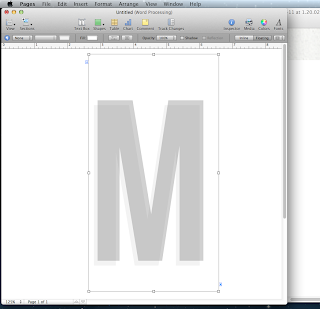 After finding my font I dropped in a shadow and tried out different sizes. When happy with everything I printed it out on paper. 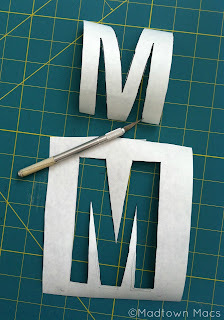 I traced the print out onto freezer paper then used an Exacto knife to cut it out. I drew in where I wanted the shadows to go then carefully cut them out. and then paint. 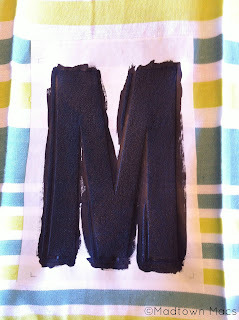 I used Tulip's soft fabric paint. Peel the paper off and let it dry. 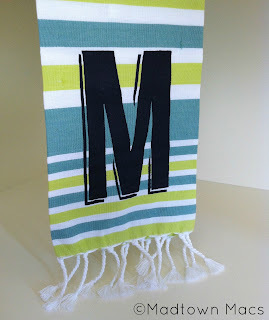 A quick modern monogrammed towel! Wow, I love this. I'm so inspired! Great job! 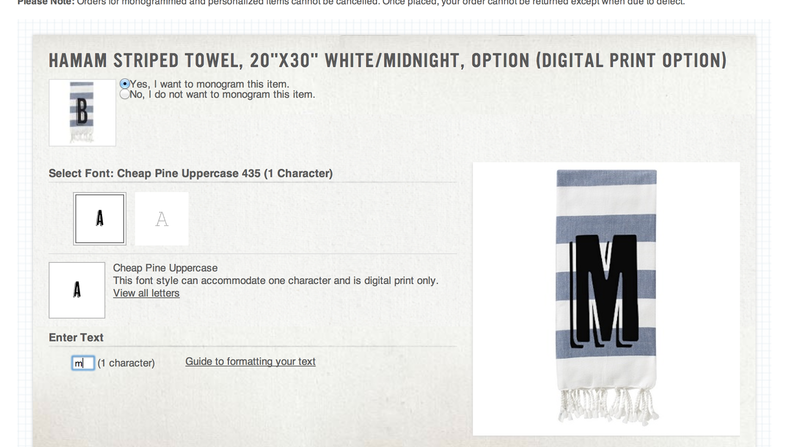 I like your towel's colors better than the original. Could you tell me which font you ended up using? Thanks for the idea! So pretty! It came out great! Does the towel wash well in the washing machine? This looks great, love how bold and fun it is. Thanks for the freezer paper tip! I'm stopping by from Give Me The Goods Monday. I really LOVE how this towel turned out! It looks fantastic! 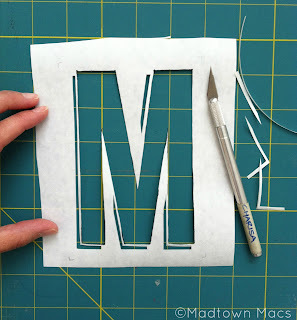 Would you mind to link this up to my blog hop? This is the perfect project for our frugal theme! Thanks! I love Monograms on everything! I am glad you finally got your own! I would love for you to join my paint party on Thursday. When I come and visit and you find your towel missing...I didn't take it. I LOVE this idea! Great job!! Lisa - it washes surprisingly well! I've only washed this once and came out fine, but have used the same paint for kids t-shirts and it's been great. 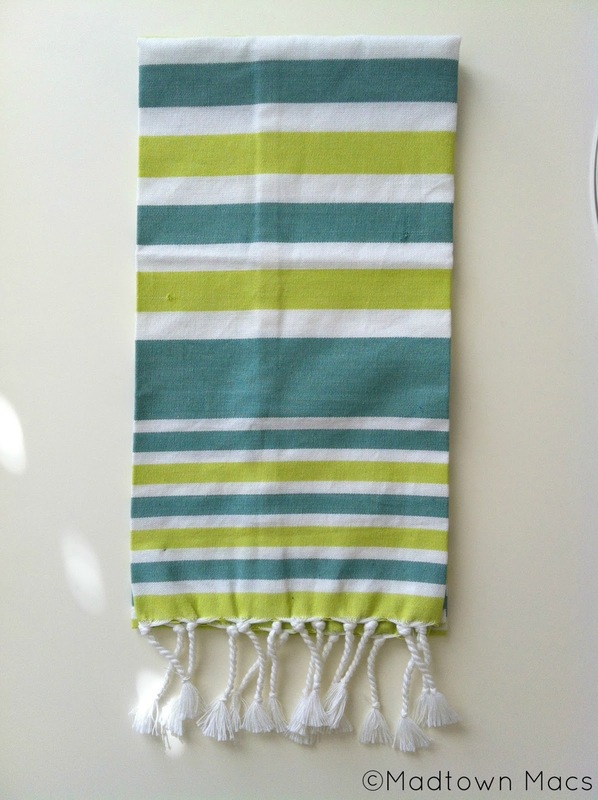 I think a towel may get more wear and tear and over time may start to look a little worn but it was a fairly inexpensive and quick project that can be done again. It's darling! 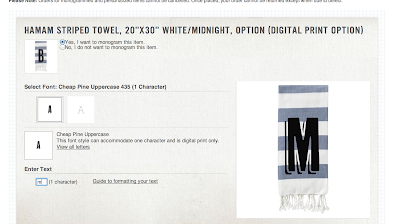 I'm head over heels for anything monogramed. Thank you so much for Linking Up at Brag About It with BeBetsy and VMG206 this week. We are so happy to have you join us! Great job! 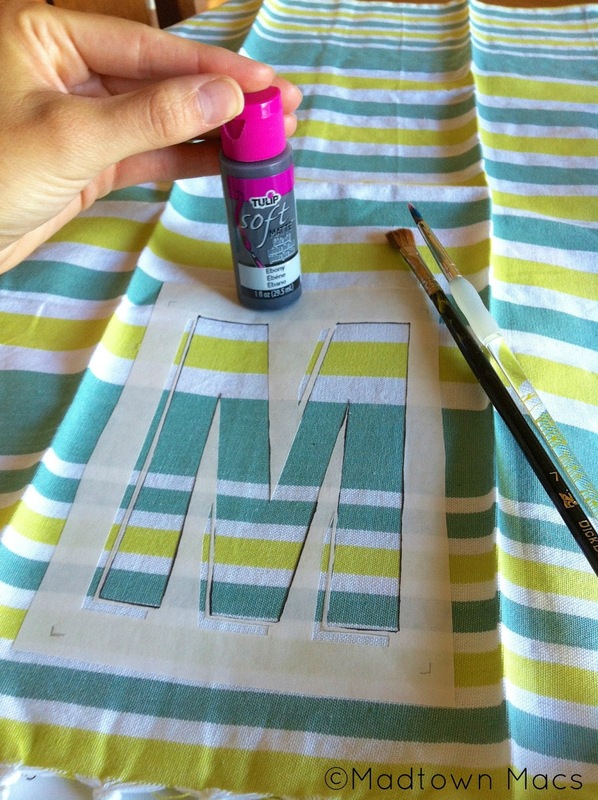 I have used this stencil method many times! Great job on yours! This is a great idea! I love the finished product!!! I loved this project! I’m Featuring YOU on VMG206 ~ Brag About It Tuesday's Linky Party from last week! We go live Monday at Midnight. So please stop by and grab a Feature Button and Link Up something new. Wonderful project! 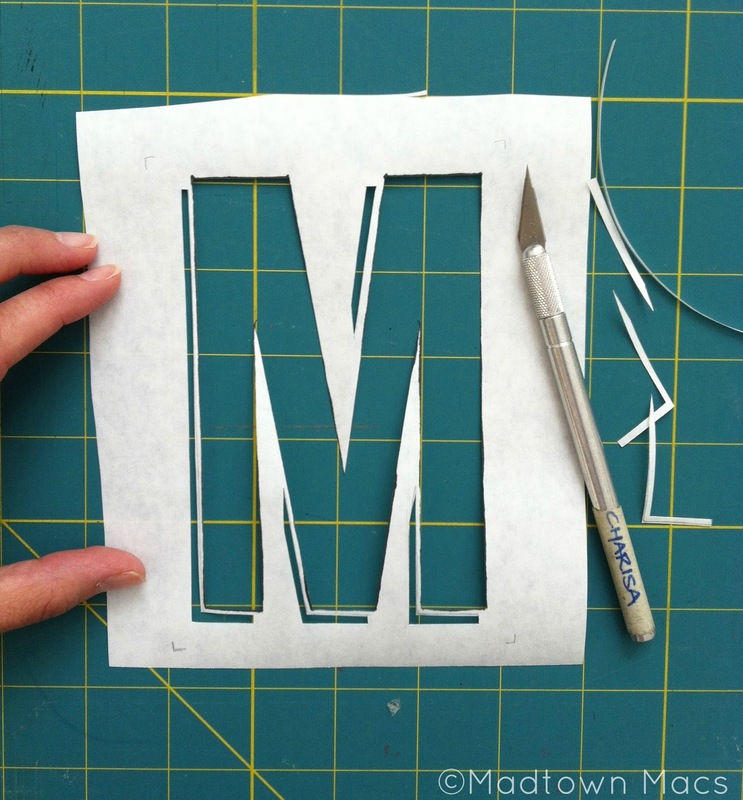 These homemade projects would make great gifts -- thanks for posting! I love this! I personally like yours better than West Elm! I am so trying this. Thanks for sharing this over at Tell Me Tuesday and you are featured this week! Take care! Really cute idea. It turned out nice. 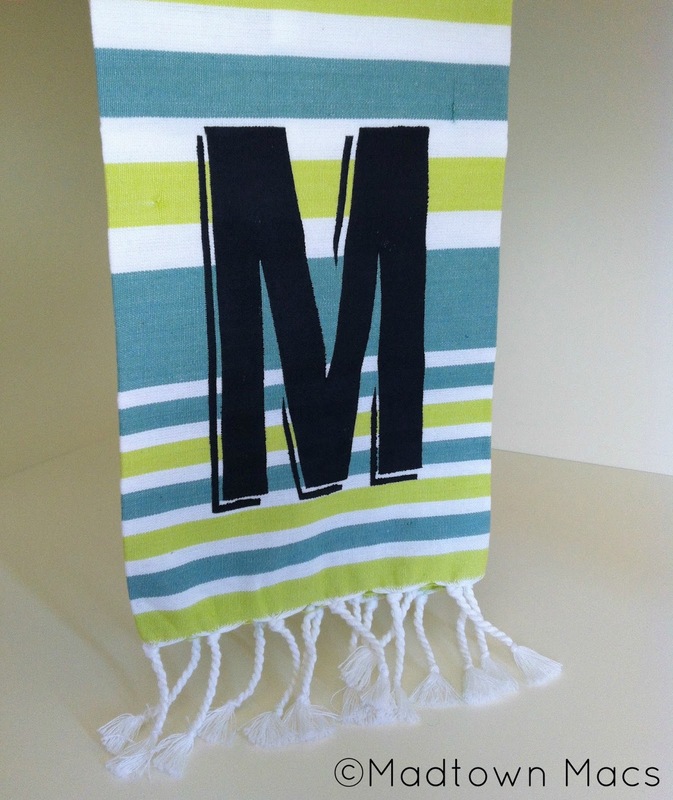 Is the letter soft or did the paint make the fabric hard?